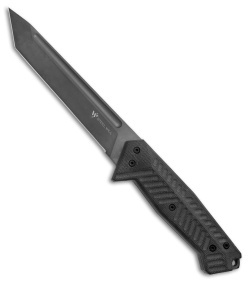 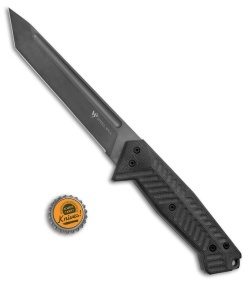 A knife designed for the modern soldier, the Steel Will Adept 1010 is sure to stand up to hard use. 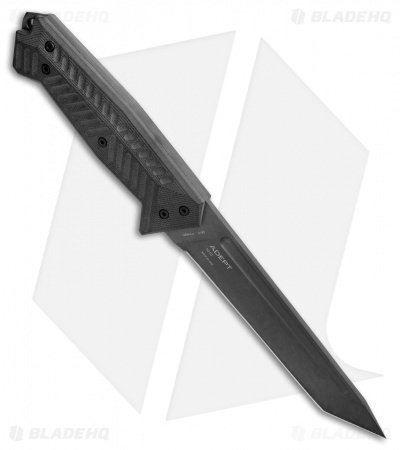 Made of 0.2" thick N690Co stainless steel blade, the 6" black PVD coated tanto blade features a long fuller and aggressive point, excellent for piercing. Fully 3D machined black G-10 scales provide outstanding traction, even when wet and includes an index finger guard for a secure and safe grip. 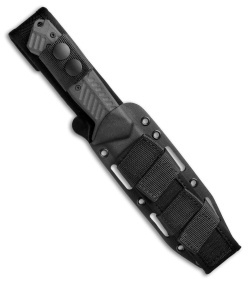 A generous lanyard hole and integrated glass breaker complete the knife. Paired with a fully MOLLE compatible kydex/nylon sheath, the included DOTS clip allows for a myriad of mounting and carrying options.